At the Femtosecond Spectroscopy, we are primarily interested in exploring novel optical properties of materials at the femto timescale and/or the nano length scale. Towards this goal, in the first three years of the Unit's establishment (also coinciding with OIST's establishment as a university), we have developed extensive experimental capabilities that cover a broad range of wavelengths from UV to THz; pulse energies from 5mJ to few nJ; pulse durations from few femtoseconds to few picoseconds; and a variety of repetition rates, including 80MHz oscillators, 4MHz high-power oscillators, 100kHz amplifiers and 1kHz amplifiers. 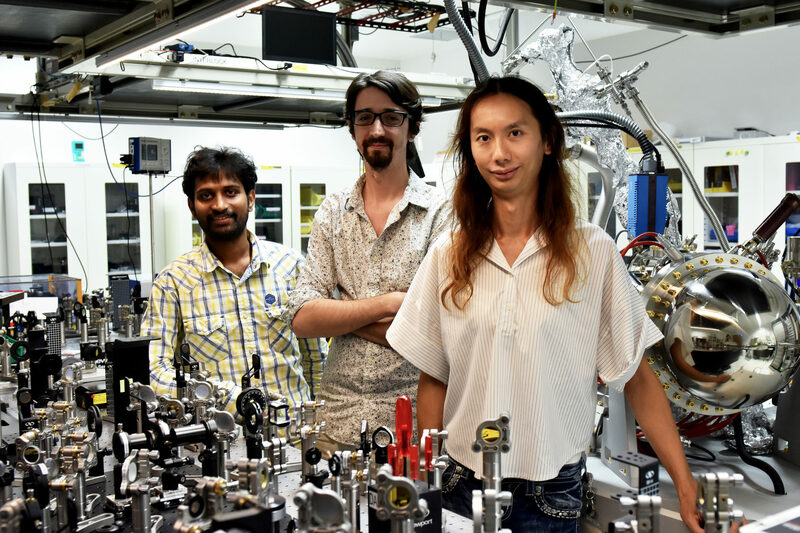 In addition, we integrated our femtosecond spectroscopy capabilities with a 17T high-field superconducting magnet and a Low Energy Electron Microscope (LEEM/PEEM) separately. The LEEM/PEEM combined with ultrafast lasers provides the capability to study electron dynamics in materials with few 10's of nm spatial resolution and few 10s of fs temporal resolution. The 17T superconducting magnet allows us to study the fundamental nonlinear optical properties of materials in the presence of large magnetic fields and low temperatures. These experimental capabilities are distributed over the Microscopy Lab, the High Energy Lab and the Magnet Lab. The Microscopy Lab was established in Jan. 2012 and produced its first THz time-domain signal in record time in Feb. 2012. The High Energy Lab began development on 1st July 2012, and obtained its first Optical Pump THz Probe signal on 1st Dec. 2012. The Magnet Lab was setup in late 2013, and produced the first higher harmonics (~30eV photons) in July 2014. The links to each lab provide more details to their capabilities.